posted: Feb. 21, 2017, 10:21 p.m. | updated: April 24, 2017, 11:21 p.m.
description: A sequel to the cult original, the film sees the old gang get back. Trainspotting was an iconic film, there is absolutely no doubt about that. So when it was announced that a sequel was being made for Trainspotting, people were fixated between thinking that things should have been left as they were to being excited that 'more' trainspotting was coming soon. The T2 in the name is a nod to how train stations, or more commonly, airport terminals are named. Does the movie hold up to the first one - no. Would it have succeded or be remembered were it not a sequel - no. But on its own, Trainspotting T2 is a fairly average film that might have been 10 years too late. The film gathers together all the old gang, and now their old, and tamed, and quite not that foolish. The film seems to be a rehash of the same characters, with just a little variety thrown in. Nothing has really changed, though it is the same wine in a new bottle. There are enough scenes and references thrown in to bring out a nostalgic effect referring to the first film. The film never manages to awe like the first one, or to give that gut clenching sense of reality through its scenes. 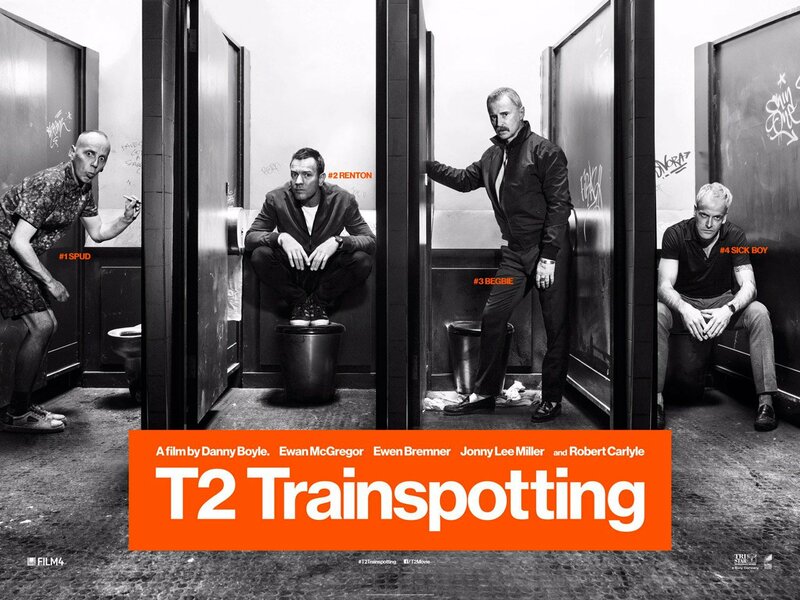 If you loved Trainspotting T2, go watch it, but I would recommend giving it a miss.